As you read that title, I know you might be thinking…“Didn’t Larry retire?” Or…“the CLI has a Director of National Initiatives?”Both good questions. The answers are “No” and “Yes!”Let me explain and share some of what I’ve been doing of late.By the time I stepped down as PCUN Secretary-Treasurer in October 2013—part of our movement’s generational leadership shift—I was already deeply engaged in national efforts to build capacity and plan for implementing immigration changes (legislative or administrative) on a massive scale. Flash forward two years. We’re collectively in the throes of preparing to assist many of the five million immigrants who may qualify for “deferred action” protection (once the appeals court clears the way). 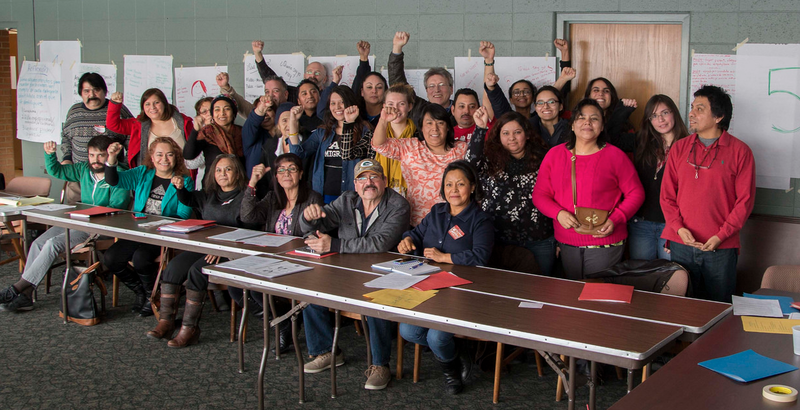 The “we” is the three dozen organizations in the Fair Immigration Reform Movement (including PCUN and Causa) and the National Partnership for New Americans, using some of the planning and training tools developed at the CLI. The “we” is also the Committee for Immigration Reform Implementation, a coalition of two dozen national organizations and networks which I have the privilege of co-chairing. Seriously, though, I have no complaints. This is what I signed myself up for and I’m not alone in feeling that I’m making an impactful and very timely contribution. I still have roles in the PCUN/CAPACES movement but I’m definitely a “back-bencher”…and that’s the plan we made in November 2012. I can’t sufficiently describe the pride, gratitude and inspiration I feel seeing leaders of our movement—Jaime, Brenda, Laura, Lorena, Andrea, and others—stepping up. And CLI’s “national” work? 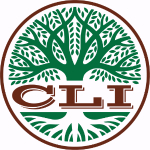 I’m thrilled to announce that this June, 32 organizing directors and lead organizers from FIRM organizations will gather at the CLI for three-plus days engaging each other about the dilemmas of “Making and Keeping A Long-Term Commitment” to social change movement work. We first tested this CLI-developed method with a gathering at the CLI of 20 FIRM leaders in June 2014. It proved so successful that those leaders are returning…and being joined by a dozen more! Most have (or had) never been to Oregon and now they are—or soon will become—part of the ever-growing part of “CLI nation”. Así Se Puede: Thus We Can! Saludos from CAPACES Leadership Institute! The TURNO youth program you’ve supported for the last three years is still going strong. TURNO is all about leadership, identity, and higher education. We’re excited to tell you that we are now offering assistance to high school students to transition into local trade apprenticeships after graduation. The TURNO program is now called RE-TURNO, because we are Reinforcing Education to a new group of students. To lead this project, we welcome José García to the CAPACES team. 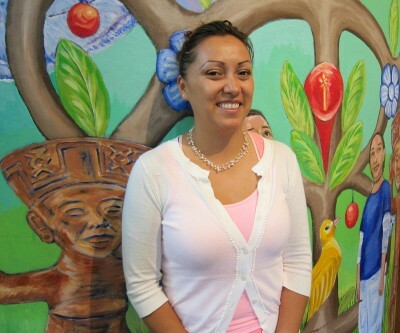 José has a background similar to that of the RE-TURNO students, and a history of being involved with the Latino movement. 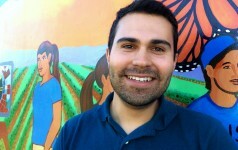 Jose is excited to offer the type of guidance and mentoring he wishes he’d had as a high school student. RE-TURNO has been busy this school year. Visiting guests from Oregon State University and Willamette University led workshops on Latino leaders in the USA, life as a college student, applying for college, Chicano leader Cipriano Ferrel’s legacy, and how to write a personal story. 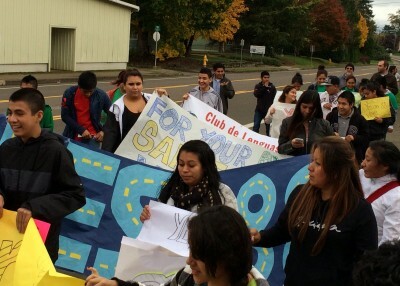 A few weeks ago our students partnered with Club de Lenguas Indígenas at Woodburn High School to lead a 6-mile march in Woodburn to promote Measure 88. Students also visited Oregon State University and Willamette University to experience college life and learn about financial aid opportunities. I wasn’t sure about going to school because of how much it cost. My family is not able to contribute a lot financially to my college education. I know if I can’t go to college I will help my family in our business. At OSU we learned a lot about college life, and about a support center called CAMP (College Assistance Migrant Program). Now I know that there are resources ready to help me and that I can succeed in college. I’m investing in myself. I’ll get a good job after graduating, and I’ll help my family out. Before going to OSU with RE-TURNO, I thought college homework was going to be too hard. But when I saw the students studying and then they told me that all I needed to do is prioritize my schedule, I realized college is actually easier than I’d imagined. Now I really want to go to college! And all of this is happening because of generosity from donors like you! This winter and spring, RE-TURNO will amp up their new program preparing and matching students with apprenticeships, continue higher education activities, and participate in the CAPACES 101 workshop. Would you please help us turn these goals into a reality for our students? Your support gives more students the opportunity to succeed in life! Make your tax-deductible donation by December 31 to be matched by a grantor. If you help us reach $8,785 in donations by the end of this year, we will meet our goal of earning $20,000 in matching grant funds. Address checks to CAPACES Leadership Institute to the address below. Please consider donating monthly. Each member of CAPACES’ staff donates to the Institute monthly—because we believe in what we are doing. We need you to stand alongside us. The personal impact for each student you help is invaluable. Your generosity changes lives and reshapes communities. Thank you for supporting our mission: to prepare leaders with the political consciousness and skills needed to lead and support social justice work. P.S. : Your donation changes lives. Donate before December 31 and your gift will be matched by a grant!